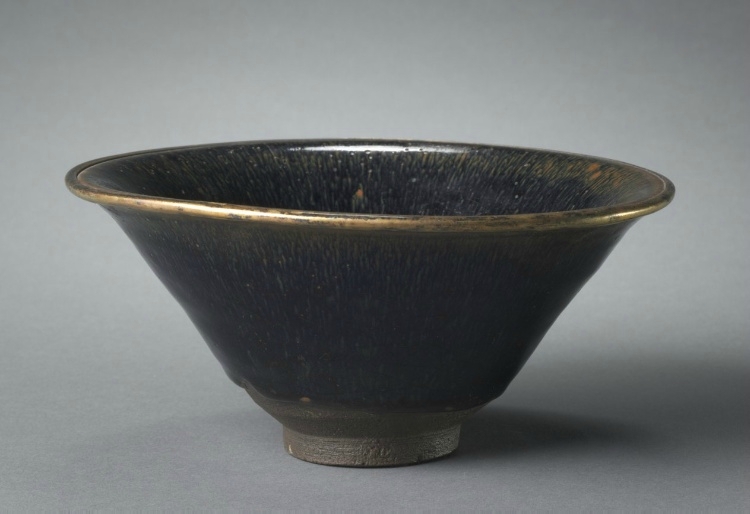 Tea Bowl, 1100s-1200s, China, Fujian province, Southern Song dynasty (1127-1279). Stoneware with black "hare’s fur" glaze and metal-bound rim, Jian ware, Diameter - w:17.80 cm (w:7 inches) Overall - h:8.70 cm (h:3 3/8 inches). Purchase from the J. H. Wade Fund 1948.206, Cleveland Museum of Art © 2013 Cleveland Museum of Art.